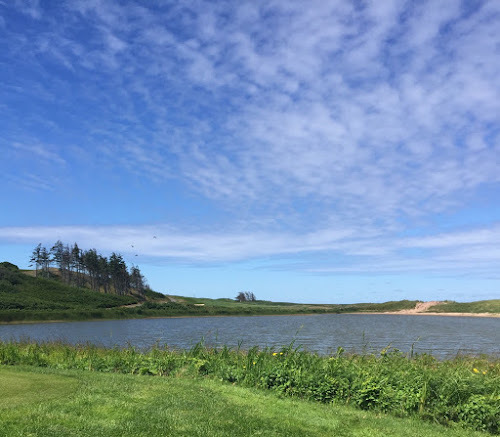 I've been to PEI to golf a few times but haven't had the chance to play The Links At Crowbush Cove. A little over a week ago I finally had the chance to cross off Crowbush off my bucket list. 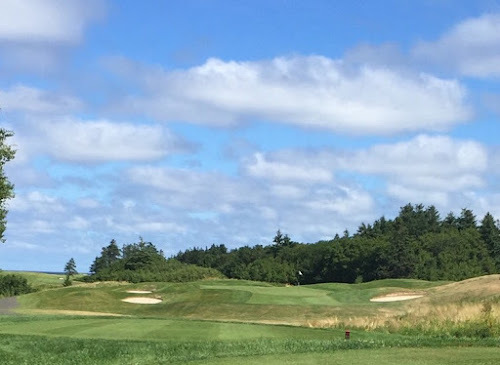 Just recently named #33 on ScoreGolf.com Top 100 the Thomas McBroom designed course has always been in the spotlight since its inception in 2000. 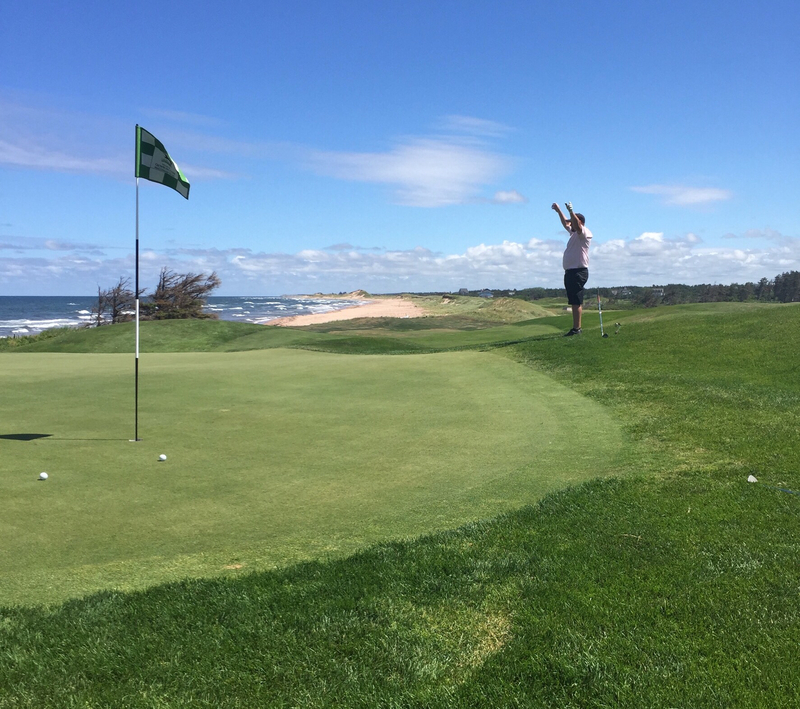 Right from the get go Island hospitality at its best as Theresa gave us the low down on the course at the bag drop plus she even had time to clean Dave's clubs. Complimentary range balls are part of your green fee so Dave and I partook in a few practise swings. After talking to the starting and looking at the scorecard Dave and I decided to play from the white tees. A fairly straightforward hole to start with, a good drive will net you good results. 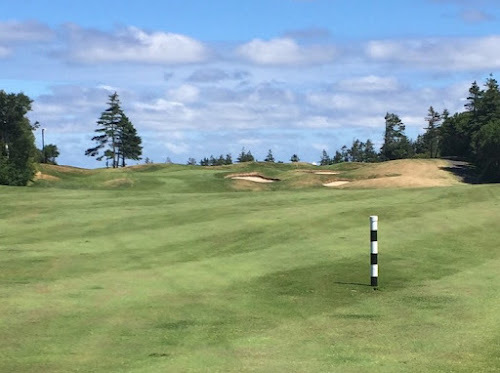 You'll notice right away the greens at Crowbush Cove are tiered with various undulations depending on the green. Some more severe then others. Spoke to maintenance staff and they said they only change hole positions every two days due to these not so subtle undulations. 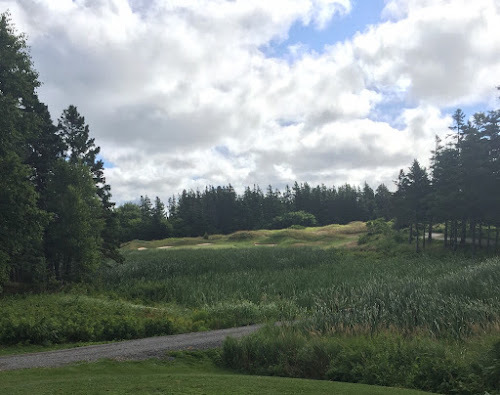 You'll notice on hole #3 the beautiful bunkering at Crowbush. Strategically placed for any wayward shots. Also notice the undulating fairways and rough. Uneven lies are common so take note when hitting your shot. Due to some dry conditions in PEI the rough in some spots wasn't to bad at Crowbush, like here for Dave's second shot on #4. The long par 5 runs back to the clubhouse hinting at views of the water. With two good shots here you'll set up a short wedge in. Smart players will play this par 5 as a three shot hole. Don't be greedy. The staff was awesome at Crowbush Cove including Jen the beverage cart girl who informed us they begin serving adult beverages at 9am. Man I love Island hospitality. Aptly named, the cattails on #6 hide and make the green look smaller than it actually is. Get your yardage and play your shot there's green for you to hit. This is where the holes get a little more scenic, some PEI ocean and sand dunes views will appeal to all who golf Crowbush. You'll also notice the wind a little more so clubbing up or down will now enter into the equation. A beautiful par 3 with the highest dune visible to the right of the hole. Usually plays into the wind so beware of club selection. Very intimidating. 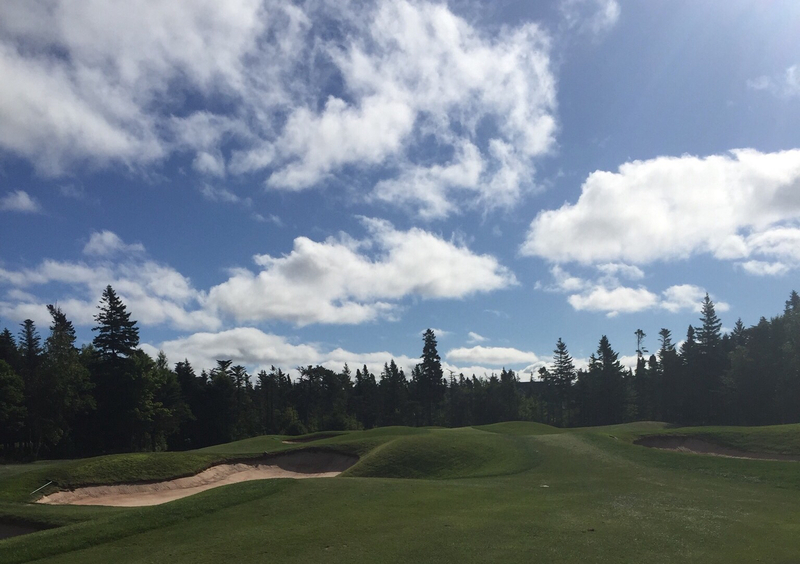 A fade will serve you well on this long par 4, the back tees are real "ole crows". 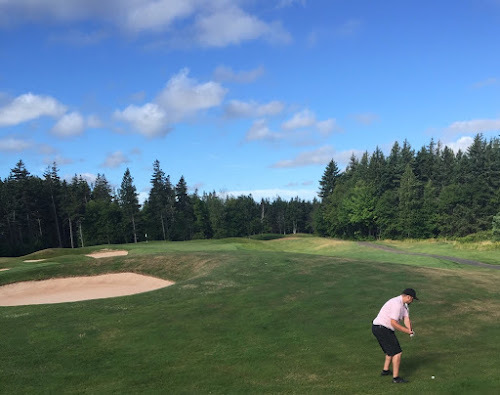 Probably my favorite hole at Crowbush a risk reward par 5 from an elevated tee. Be sure to take in views from back tee, they are spectacular. 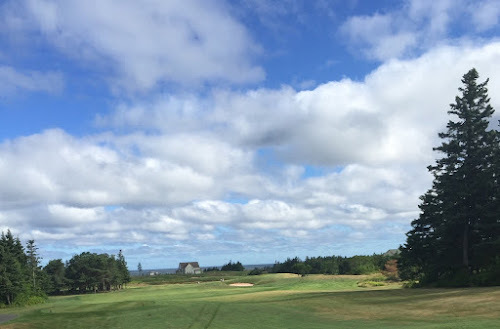 Birdies or eagles can make it on your scorecard, but doubles or worse can too. Good luck! A tough green to hit looks real narrow from the tee and is plus bunkers left and right. Par is a good score here. Another example of the beautiful bunkering at Crowbush Cove. 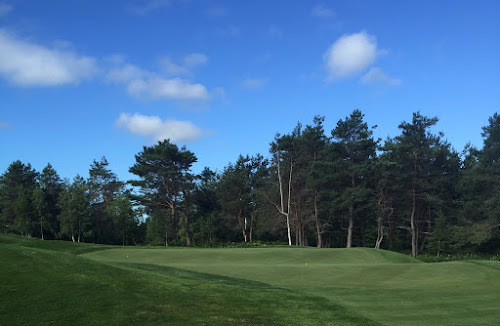 Fourteen is a shorter par 5 but trouble is everywhere including the undulations on the green. 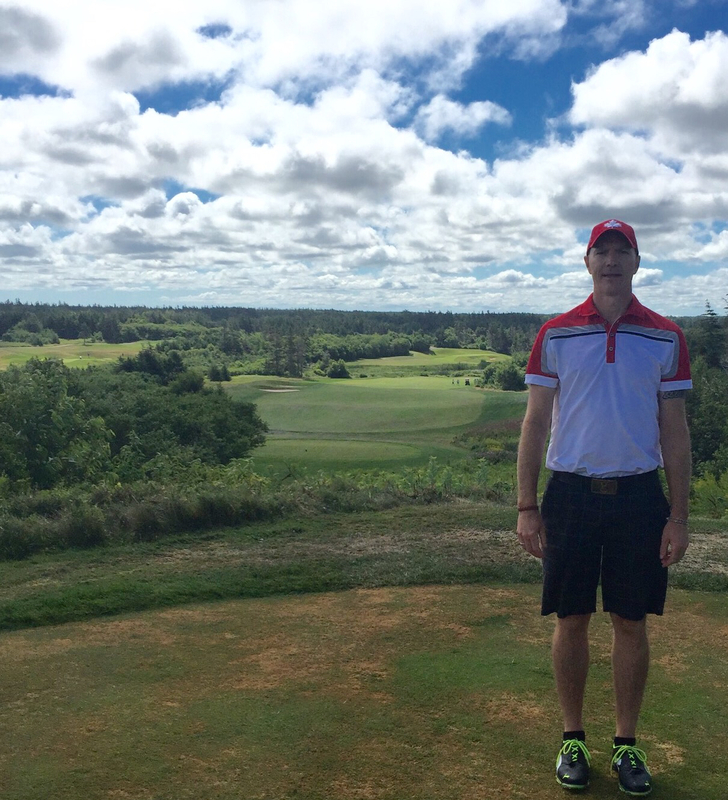 A great hole with a spectacular view of the ocean in all its splendours. Dave was rather excited on this wind swept hole and I think it was for a double. A long carry over water your tee shot has to be accurate because it will be into a wind more than likely. 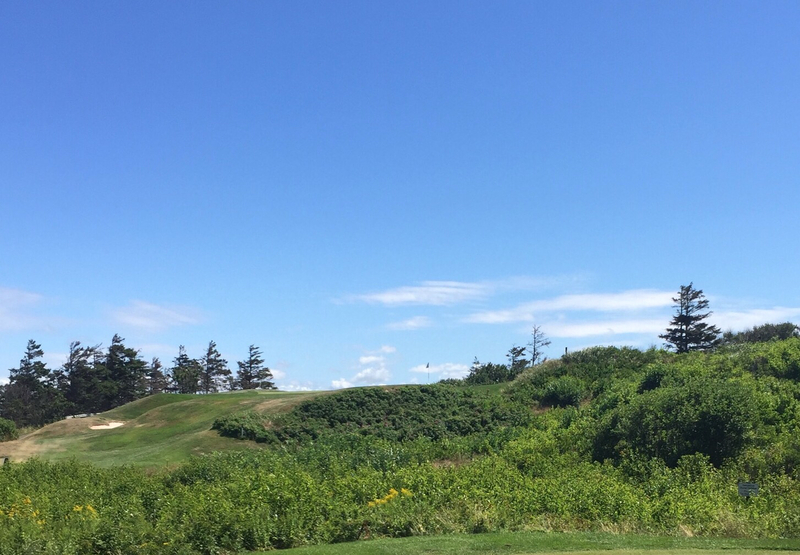 Your second shot will be uphill to a tricky green, pars will be golden here. 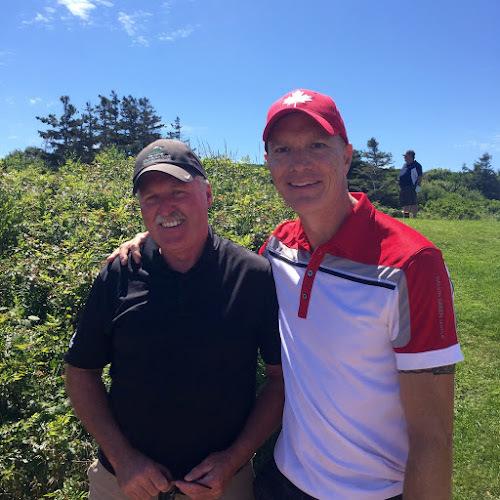 Got a chance to talk to Crowbush Cove's Golf Course Superintendent Dwain MacAulay. Gave him praise for his staff as Crowbush was in great shape for summer time. A fun little par three that will be a wedge for most. Tough green to stay on with drop offs and bunkers surrounding the hole. Pitch and putt with teeth. A good finishing hole that takes you back to Crowbush's clubhouse. The trouble on this hole is around the green with a slightly elevated green guarded by bunkers. A great way to end your round. After your round be sure to savour some PEI mussels like Dave here on the clubhouse patio. 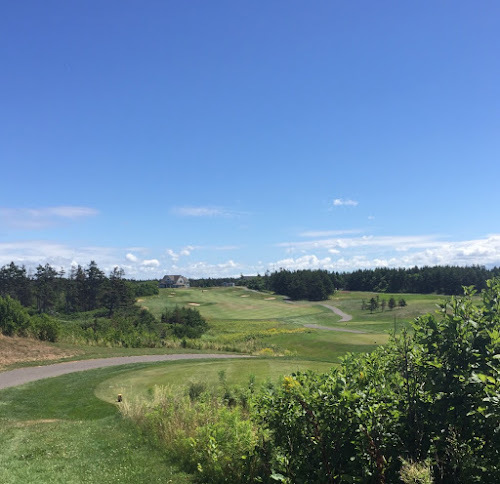 Great views of the course plus you can talk about your round. 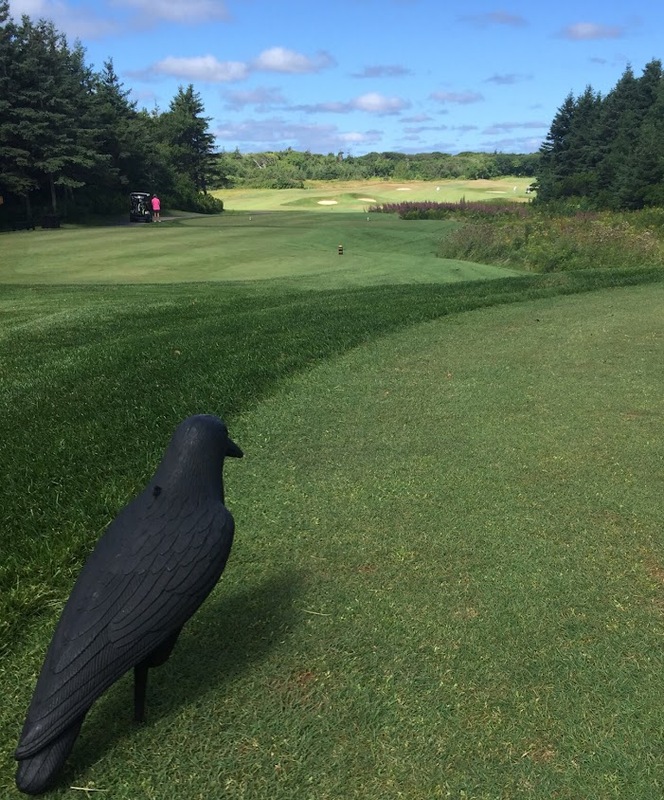 Crowbush is a must play when you visit PEI, its layout will challenge ever level of golfer. 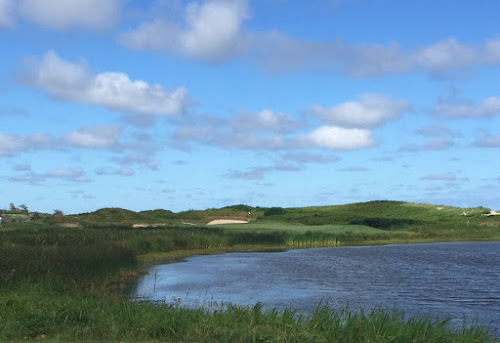 The views of the ocean, beach, dunes and general topography are world renown especailly on the back nine. 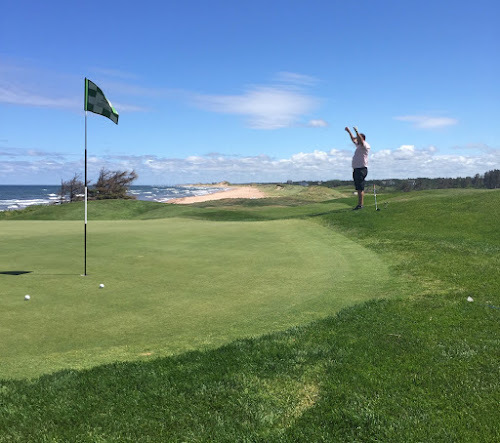 Golf PEI can set you up with green fees which vary in price depending on when you play as well as if you play any of their other signature courses. 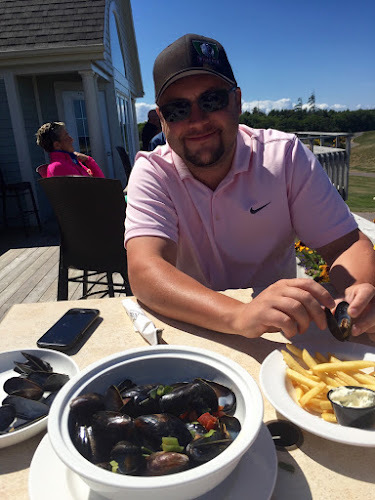 Contact them to work out a PEI golf package.